My comments will not contain any rarified or technical legalistic information. Most of it is basic common sense and preventive maintenance to avoid a problem for your heirs involving distribution of your artwork and payment of excessive estate taxes. Unfortunately, I will probably be telling you something you already know, and won’t want to hear, let alone do. It will be like your accountant telling you to keep a daily log of the art books and supplies that you buy with cash for IRS reporting. I haven’t had the first-hand experience of being an executor of an artist’s estate, so I can’t provide personal anecdotes or stories. I called up artists and art dealers who have had direct experiences with artist’s estates for ways in which you can plan ahead. • Make a visual image if possible, a photo (Polaroid or slide) or a drawing or sketch of the piece. • Sign and title the work. • Describe it: size, medium, where signed, edition. • Note when it was made: date each work. • Keep an exhibition record: where and when the piece was exhibited. • Do you now where it is located? Who owns it? Was it sold, or given as a gift of trade? changes of hands that is more difficult. Appraise as you go, keep good records of the value of your art. • If you have been represented by a gallery or a number of galleries, they should be helpful in organizing records or your work because they should have records of sales and when specific work was brought in and let out to exhibitions, etc. It is a good idea to check in with your gallery regularly to get an update on activities. Generally speaking, it is not a good policy to rely on others to keep your records. Use the gallery to cross-reference and update your records. • Another possibility is to do an oral history of your work chronologically covering your professional careers, the nature of your work, when and where you showed your work, naming exhibitions, places, and major changes in your work. This obviously requires planning. • Save only the best work. There have been examples of estates being taxed on work that is marginally significant or even damaged over time. • People work differently. There might be natural times within the cycle of your work when it would make sense to stop and take stock of what you have done, either after an exhibition when you are cleaning up and getting ready for new work, or when a particular series of work concludes. Others might be guided by the regimen of the calendar. But the main issue is to regularly discard unimportant work and work that is in bad shape. • If you haven’t done this over the years, then you probably have an attic and/or basement full of work, and it would make sense to take inventory and edit. Tackle this in small steps; otherwise you won’t do it. Perhaps segmenting work by medium or by date is a manageable approach. Ask a friend, spouse, or co-worker to help with this process. Disperse ?Placing works of art: If you can’t keep it, try to place it. • Reduce inventory by distributing your work (in your lifetime) to people and institutions where you would like to have your work located. It is easier for you to determine the disposition of your work when you are alive than to have someone else do it during a stressful time (at your death). If the estate is appraised and the Pennsylvania inheritance taxes are paid within a 3-month time period after death, there is a percentage reduction in the taxes, but this is usually a difficult time to make decisions, especially if no provisions or planning have occurred. You need to consider the people who will inherit your work. • While everyone would enjoy placing their work in major museums, there are other opportunities to place work in non-profit organizations of all types and at all levels, depending on the nature of your work, subject matter, etc., matching your work with schools, hospitals, senior centers, nursing homes, zoos, or charities such as auctions for Philadelphia Volunteer Lawyers for the Arts, the Print Club, MANNA, the Philadelphia Committee to End Homelessness, to name a few. I am aware of the great pleasure senior artists have gotten from people in these organizations who are very responsive to their work. 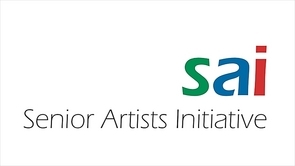 • You can give gifts of your work valued up to $10,000 annually to friends, family, and institutions and thus pass on art to the next generation without tax. PLAN: In my discussions with senior artists, inevitably 90% of the people lament that they don’t have time to organize their work. Get someone to help out – perhaps a family member, friend, or a student intern who could help you and learn how to organize their own work at the same time. Most haven’t thought about the consequences of their work after they are gone. Some have thought about it and have contacted a family member or friend to put in charge of dispersing their work, but with no plan this will most likely be a major headache. Think about ways to reduce your taxable estate. During your lifetime you can give gifts, or establish a fund as part of a larger foundation or institution. Be aware not only of the value of your work but of your personal art collections. Artists often trade with other artists and these assets will be appraised as part of your estate; however you can give these art works by other artists to non-profit institutions and take a tax deduction for their value. If you know where you want your art to be, place it there now.